White braided handset cord for 200/300 series telephone. << Back White braided handset cord for 200/300 series telephone. This is in my opinion the best reproduction braided cord money can buy. I use them on all top of the range telephones. They are all British manufacture and unlike others available the copper tinsel inside is insulated and so can with stand getting wet without shorting. 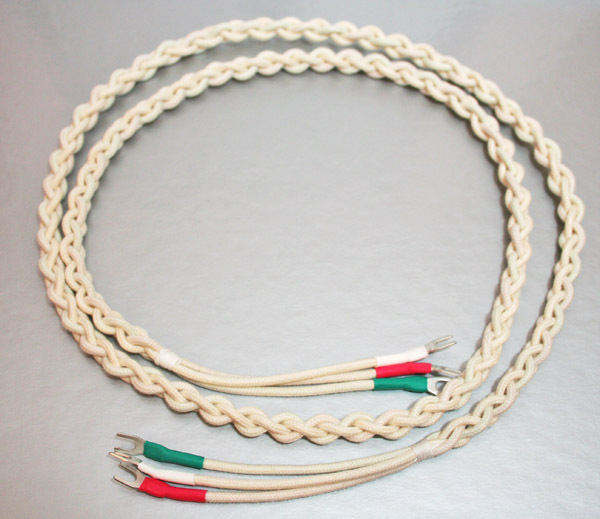 The braided cord is manufactured here in the UK and hand plaited and bound. As you can see they are wonderful. In this day and age it’s good to find a quality item manufactured here in the UK. They come with two cable ties for easy fitting.